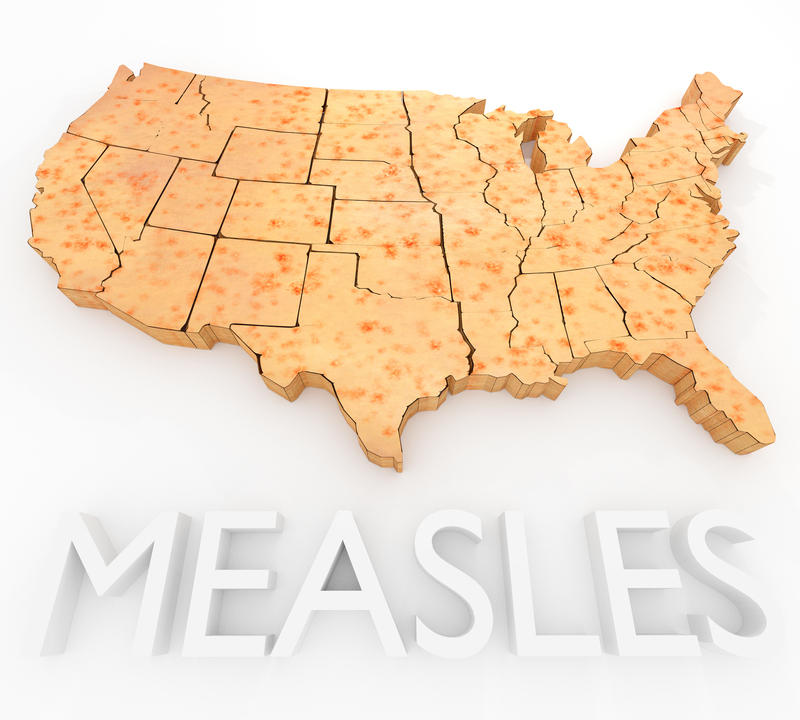 This year, from January 1 to April 22, 61 people from 10 states were reported to have measles. But by May 24, Minnesota had 68 confirmed cases of its own, most of them in children under age 10, with more cases expected. What’s going on? Didn’t we have this disease beat years ago? In 2000, the United States declared that measles had been “eliminated,” which meant the illness was no longer endemic, or continually present in this country. However, the measles virus can still be brought into the US by travelers to and from other countries where the infection still flourishes. Measles outbreaks occur when people who have not been vaccinated against the virus are exposed to and spread it. Exposure comes through having physical contact with an infected person, being near an infected person when he or she coughs or sneezes, and touching surfaces on which infected droplets of mucus have fallen and then touching your mouth or eyes. We do have a vaccine against measles, and vaccination became routine in the early 1960s, but some people choose not to have their children vaccinated. Many of them have fallen victim to an anti-vaccine movement that erroneously purported a link between the measles vaccine and a greater risk for autism. While several extensive studies in multiple countries have proven there’s no such link, and the author of the original 1998 study claiming it has been discredited, the fear continues in many parents. That was the case in Minnesota. The Somali-American community near Minneapolis was targeted by the anti-vaccine movement and their increased risk of autism message. The community believed they had a disproportionately high number of autistic children, so they were particularly susceptible to this message. As a result of the anti-vaccine efforts, the vaccination rate among the Somali-Americans dropped from 92 percent in 2004 to 42 percent in 2014. This is well below the 92 to 94 percent needed to protect a community from the virus. It also left them wide open to an outbreak, which is exactly what occurred. Public health officials in Minnesota are working to counter the misinformation spread by the anti-vaccine supporters and encourage Somali-American parents to get their children vaccinated. Experts recommend an initial dose of the vaccine when children are between 12 and 15 months of age, with a booster before entering school, when they are 4 to 6 years old. This combination is 97 percent effective in preventing measles. A dose of the vaccine can also be given within 72 hours of exposure to prevent the illness. There is no special treatment for measles. Doctors generally recommend plenty of rest and typical measures to control fever and prevent dehydration. Symptoms generally go away within seven to 10 days. Measles can cause serious complications, including eye infections, bronchitis, pneumonia and inflammation of the brain.